Energy drinks. You need to be under 30 or insane to drink soda like Red Bull. The truth is though that even with superfoods among us and wheatgrass juice and the outliers you can drink for your health, nothing, including spirulina has come anywhere close to mainstream. But a new trend that is starting to pick up interest may become the next caffeine. 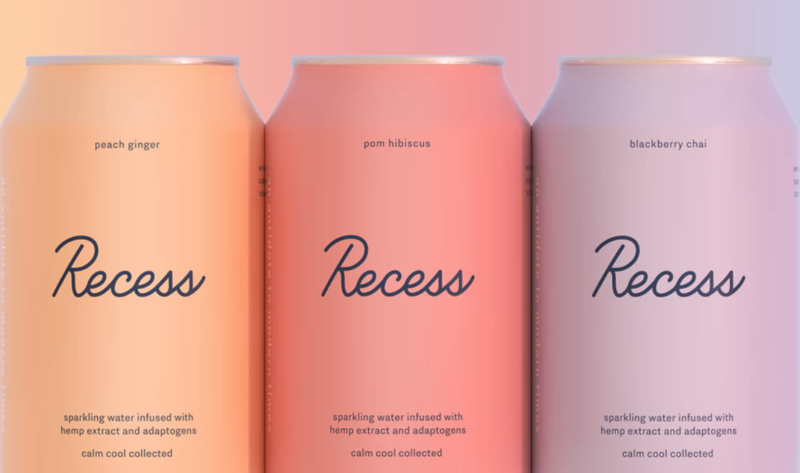 There is a rumor circulating on the Internet that the last CEO of SodaStream Daniel Birnbaum that sold the company to Pepsi for a cool $3.2 billion is looking into cannabis-based extracts for soda. Those extracts might very well come through a company called Cannabit, based in Israel. If you look online cannabis lifestyle products abound. They are obviously more common in the US states like California where cannabis is legal but consider Canada, where nationwide anyone can use cannabis for medicinal or recreational use above legal age. CBD, the therapeutic and calming, but non-high inducing element of the cannabis plant might be the next “caffeine” we are all waiting for. CBD may help reduce symptoms related to cancer and side effects related to cancer treatment, like nausea, vomiting, and pain. But it can help maintain a healthy body too: It is possible to add CBD oil to food, and an increasing amount of new evidence finds that it may improve mental health, particularly anxiety. Health conscious people no longer want real caffeine as part of their diet but look to invigorating elixirs and health supplements that can lead to a healthier, fuller life. Soda sales are falling so innovative companies and iconic brands like Coca Cola are looking for novel products that can intensify consumer interest. CBD the short work for cannabidiol, one of 80 or so molecules found in the cannabis plant, may the next big thing. While you can smoke, vape, or take CBD oil under your tongue, some people enjoy it inside a candy, food or beverage. CBD is vastly different than THC, or tetrahydrocannabinol, the molecule in cannabis that appears to have great therapeutic results for some but for others creates psychotropic effects that are too extreme to manage and which might exacerbate some conditions such as anxiety or paranoia. Experts we have spoken too like Dr. Alan Shackelford suggests that some combination of THC and CBD and others in the raw cannabis plant may play an important relationship together in healing us, but until more research is in, we say cheers to new soda drinks, and look forward to a new at homebrew, with a twist of CBD. Previous Previous post: What Happens if the Father Refuses to Sign Birth Certificate? Next Next post: Can Robots and Artificial Intelligence Save the Planet?